Want to win an adventure for two to the Cook Islands, including six-nights at the famous Pacific Resort Rarotonga? We’re giving one away! Click here to enter. And to fill you in on what could be instore for you, Outpost presents this Cook Islands Introduction. As early as 1500 B.C., long before the Vikings took to the seas, the Māori were sailing double-hulled canoes across the Pacific. Guided by the stars, swells, and traditional navigation skills, they traveled thousands of miles to remote and beautiful Polynesian islands, some of which became their new homes. The South Pacific nation we now know as the Cook Islands was one of these early settlements. The Cook Island Māoris’ then explored further to discover New Zealand around 1200AD. The Cook Islands remain remote, exotic, and absolutely gorgeous, the way they were when the Māori first found them. Today, travelers don’t have to be at sea for weeks to reach them. Air New Zealand offers a nonstop, 10-hour flight from Los Angeles to Rarotonga’s lagoon-side international airport, every Saturday departing at 10:45p.m., putting guests in paradise in time for breakfast. The Cook Islands are in the same time zone as Hawai’i, and about the same distance south of the equator as Hawai’i is north, meaning the climate is tropical and jetlag is minimal. “Your body clock will be just fine, ready for you to do a lot of things—or nothing!” jokes Christian Mani, a native Cook Islander and Marketing Manager for Cook Islands Tourism in North America. The Cook Islands, a nation of 17,000 people, are a set of 15 islands spread over two million square kilometers in the South Pacific Ocean. In July 2017, a “Marae Moana” (Ocean Sanctuary) Bill was passed into law in Parliament; the Bill is a commitment to protecting an ocean space more than double the size of British Columbia, or three times the size of Alberta. 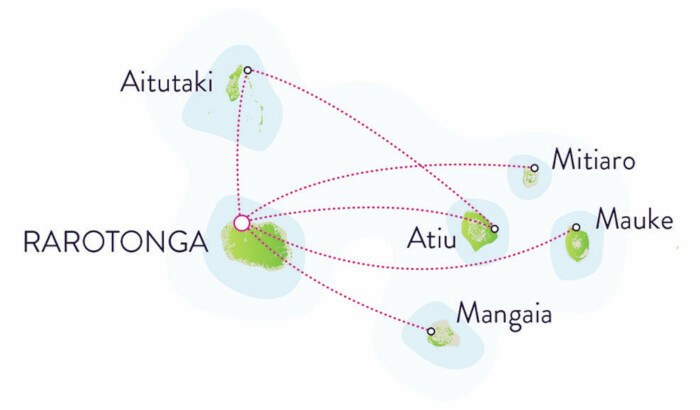 Aitutaki and Atiu are the other two most-visited destinations; both are coral atolls. Cook Islands Tourism is also introducing a “Live Like a Local” program to introduce additional islands previously unknown to most people, and seldom visited. These include Mangaia, Mauke, and Mitiaro. All of the islands are breathtakingly beautiful, warm in both climate and spirit. The Māori culture is still alive and well in the Cooks, with the majority of the population identifying as Cook Islands Māori. 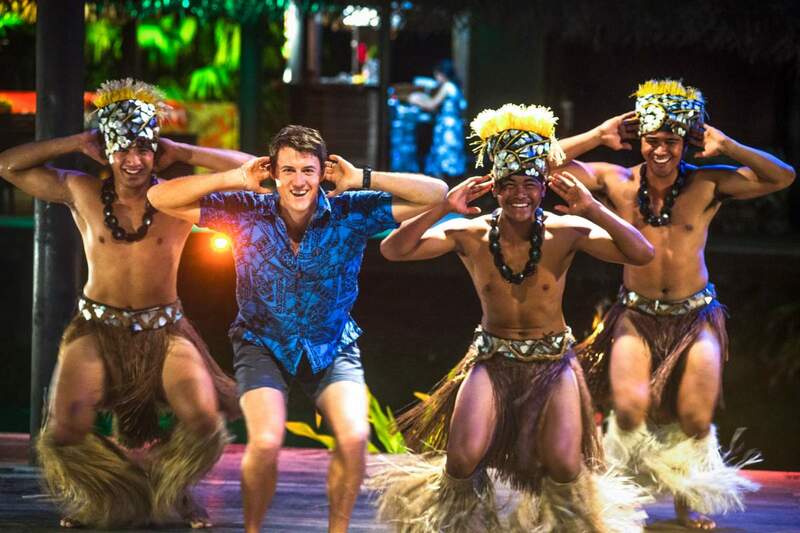 Cook Islanders are a high-spirited, friendly, and family-oriented people, who love dancing and drumming, upholding traditional ceremonies, coming together for feasts, and welcoming visitors with genuine hospitality. Tips might include where to find local food. 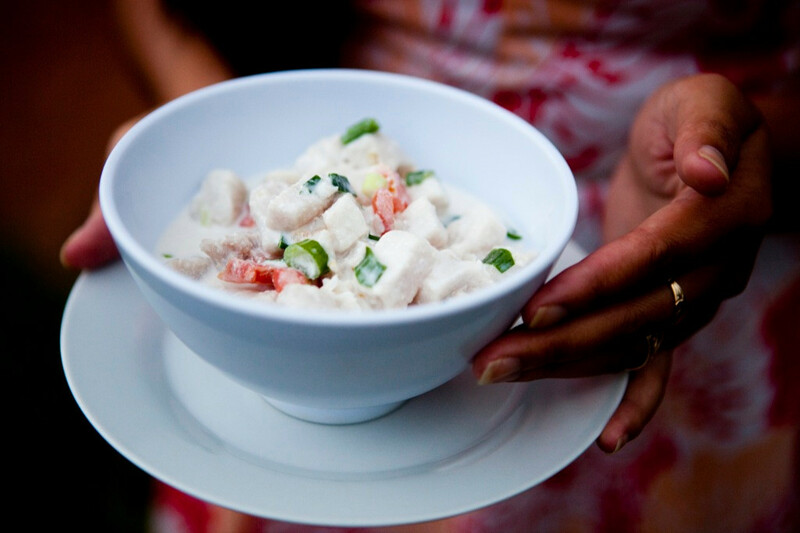 A popular dish is “ika mata,” a fish marinated in lime or lemon juice, then eaten with fresh coconut cream. “We add coconut cream to almost everything!” Mani says with a laugh. Other dishes visitors might encounter include local crops like papaya, banana, mango, pineapple, and watermelon, a lot of seafood, and specialties influenced by European and Asian cuisines. Night markets, like the one at Muri Beach on Rarotonga, offer traditional umu-cooked meals (underground oven), as do “island night” cultural shows, where passionate locals share history and traditions through music, song, dance, and food. 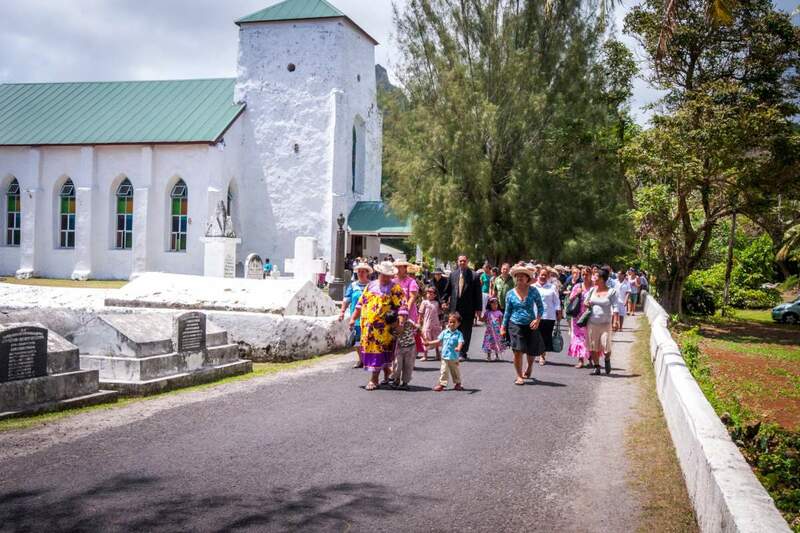 “Another amazing way to experience the culture of the Cook Islands is to attend a church service on Sunday. Missionaries brought Christianity to the Cooks in the early 1800s, and today visitors are welcome to attend services at one of the white limestone churches they built. “Our acapella singing is impeccable,” Mani says of the unique singing at Cook Islands churches. “We have a different way of harmonizing that most people have never heard before. It’s definitely unexpected.” As it turns out, there are many unexpected qualities to be discovered in this little paradise. In the Cook Islands, they have nice things—luxury spas, linen napkin dining, air-conditioned art galleries—but the islands aren’t overdeveloped and the culture isn’t contrived. There, as they say, what you see is what you get. What you see is natural and breathtaking and real. What you get is paradise, unfiltered. 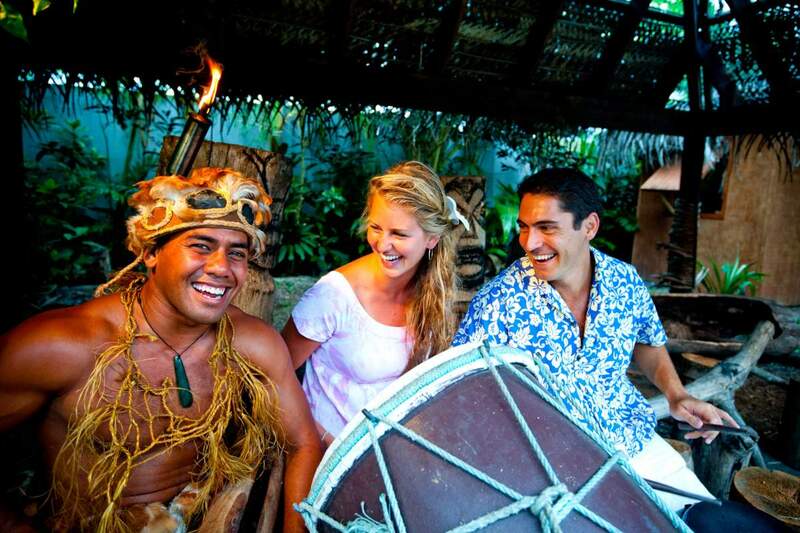 What you get is an authentic Maori experience. Would be great to explore! The Cook Islands look amazing!